Shines on the darkness in the world. So the Buddha is called 'Immeasurable Light'. All limited beings are blessed by the Light. Hence, I bow my head to the Truly Luminous One. So the Buddha is called 'Boundless Light'. Those touched by the Light are freed of being and non-being. So the Buddha is called 'Unhindered Light'. All those with hindrances are blessed by the Light. Hence, I prostrate myself and worship the Inconceivable One. So the Buddha is called 'Unequalled Light'. Those meeting the Light are rid of karmic bonds. Hence, I bow to the Ultimate Resort. So the Buddha is called 'Majestically Flaming Light'. The darkness of the three realms receives the blessing of the Light. Hence, I prostrate myself and worship the Great Alms-Deserving. So the Buddha is called 'Light of Purity'. Once shone upon, the filth of sin is removed, and all are delivered. Hence, I prostrate myself and worship Him. So the Buddha is called 'Light of Joy'. Wheresoever the Light reaches, Joy of Dharma arises. I prostrate myself and worship the Great Consoler. So the Buddha is called 'Wisdom Light'. 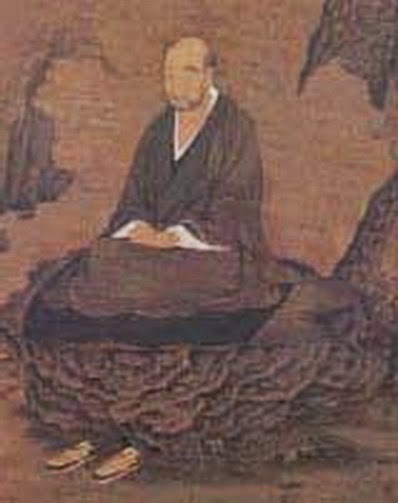 All Buddhas and the sages of the Three Vehicles laud him together. Hence, I bow to Him. So the Buddha is called 'Unceasing Light'. His Light cannot be measured, except by Buddhas. Hence the Buddha is called 'Light Difficult to Conceive'. Buddhas in the ten quarters admire our Birth and praise His Virtue. Hence, I bow in reverence to Him. So the Buddha is called 'Ineffable Light'. whose Light resplendent is praised by the Buddhas. So the Buddha is called 'Light Excelling Sun and Moon'. Even Sakya Buddha's praises are not exhaustive. Hence, I bow in reverence to the Peerless One. Hence I bow in reverence to the Great Assemblage. Seeks to deliver beings universally. one fathom long, like a falling star. like the full moon in autumn reflected on purple gold. They collect the Buddha's Dharma-store for the beings' sake. Hence, I prostrate myself and worship the Sea of the Great Mind. Attending majestically on the right and left of the Buddha. Like the ocean tide which ebbs and flows at the right time. I prostrate myself and bow with singleness of mind. manifesting themselves just like the Great Sage. Hence, with mind sincere, I kneel and bow to Him. revere, and give offerings to the Tathagatas. Their divine power, freely employed, is unfathomable. Hence, I prostrate myself and worship the Most Honorable One. And men and devas as well all excel in wisdom. Their physical marks and adornments are not different. These names are simply given as in other worlds. Their figures, serene and lordly, are incomparable. Theirs are the body of emptiness and infinitude. Hence, I prostrate myself and worship the Power of Equality. Will all dwell in the Rightly Established State. do not dwell in that Land. All Buddhas praise Him. Hence, I prostrate myself and worship Him. transferring his merits and desiring Birth he attains Birth. Hence, I prostrate myself in worship and desire to be Born. Have no equal in this world. All of this was due to Dharmakāra’s Vow-Power. I prostrate myself and worship the Great Mind Power. Can show only a little by means of metaphors. Hence, I bow to the Ineffable Buddha. Are immeasurable, innumerable, and countless in number. Those Born in the past, present, and future are the same. And is endowed with the treasure of merit. One should pass straight through it to hear the Buddha's Name. He who hears Amida will not fall back from the Way. Hence, with mind sincere I bow and worship Him. Numberless Bodhisattvas all go to visit Him. The remaining nine quarters are the same. Hence, I prostrate myself and worship the Bhāgavat. Like clouds the multitude assemble in the seven-jewelled Hall. Hence, I turn my thought towards the Hall and worship it. and fifty yojanas in circumference. Hence, I prostrate myself and worship the Bodhi-tree. It is made of seven natural jewels. It has arisen from the glory of the Buddha's Original Vow. I bow in worship to the Pure, Magnanimous Embracer. Comfort and ease prevail, without seasonal changes. His Power to benefit Himself and others is perfected. I take refuge in the ingenious adornments of expediency. I bow in worship to the Inconceivable Sage. The Divine Power and the Original Vow! The Perfect, Clear, Firm, and Fulfilling Vow. Indescribable is His Compassionate Means. I revere and take refuge in the Truly Unfathomable One. Hence, I bow to worship the Pure, Serene Music. The blossoms, fruits, boughs, and leaves reflect each other. I bow to the Merit-Store of the Original Vow. Five notes are produced, each harmonizing with the other. The elegant, exquisite music is naturally played. Hence, I prostrate myself and worship the Pure, Meritorious One. Each flower has a hundred thousand kotis of petals. Luminous and brilliant like the rays of the sun. are thirty-six hundred thousand kotis in number. The Buddhas equal the number of the rays produced. are like the golden mountain. Excellent in colour, taste, and fragrance, like nectar. Hard to conceive is the undefiled subordinate Recompense. Hence, I bow in worship to the Treasury of Virtues. Hence, the Land is called 'Peace and Bliss'. I prostrate myself and worship the Utmost Honourable One. All by riding the Vehicle of Oneness, become Enlightened. Their Twofold Wisdom is perfect and their Bodhi equal. Acts of saving according to the conditions are numerous. Is the same as my taking refuge in all the Buddhas' Lands. I, prostrating myself, worship with sincere mind. I sincerely take refuge in Him and bow in worship. I praise the Buddha's Mercy and His virtuous sound. May the sentient beings in the ten quarters hear it!